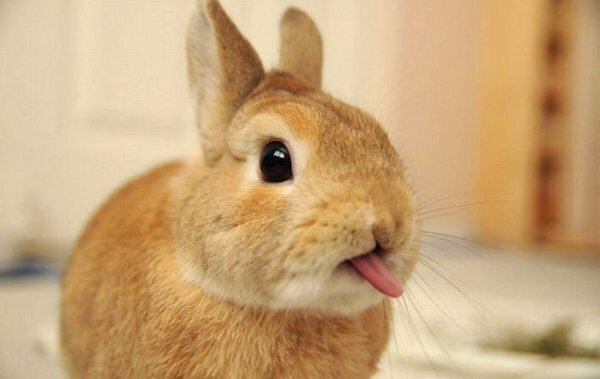 Cute bunnies make everything better. This is a comment I posted over on A Motley Vision (AMV) on a post referencing two posts on Association for Mormon Letters’s (AML) blog. It began when I objected to the use of the word “serious” to describe what literary works AML should be focusing on. It led to “interesting,” which led to “literary” used in terms of quality. That’s where I stepped in. My argument is that “serious” literature means something entirely different in #MormonLit than it does outside our little niche, precisely because of its Mormonness. I’m the one who objected to “serious” on Twitter, but not in an angry way. I made the observation that it’s divisive and inflammatory, possibly infantilizing. This is where I think we are with regard to #MormonLit: We, as a culture, have a fraught relationship with light amusement, humor (not to be confused with social fun), and anything that keeps us from putting our shoulder to the wheel and gathering in the harvest. Or, you know, doesn’t fill the last 16 minutes of your day doing your calling. We’re ALWAYS serious. And we are exhorted to read SERIOUS works, where “serious” = nonfiction, the words of the prophets, scripture (yeah, I put them in that order on purpose), and other things such as those works worthy of being quoted in General Conference. I mean, look at our church decor. It can’t get any more serious than that. Ditto temple decor: serious elegance. The level of “quality” is directly proportional to how clean and kingdom-building and PURE it is. Those who expect quality of storytelling, engagement, and overall, ENTERTAINMENT to go with their deeper meaning are the ones who left #MormonLit years ago. They don’t expect any better and don’t have time to look for where it might be. Deseret has the lock on the market and, like it or not, they built the reputation of Mormon literature as lacking quality. In short, in Mormondom, FICTION ITSELF is not serious. In fiction, there are no truths to be gleaned because truth delivered metaphorically isn’t pure. Let’s come over here to the AML/AMV tent and take my explicit books out of the equation. That leaves what? Characters who struggle with faith. Characters who may or may not stay in the church. They may be very harsh about the church. They may have been created simply as character studies (e.g., Angela Hallstrom’s Bound on Earth). They may, horrors of horrors and the worst crime of all, may remain as ambivalent about the church as they were when the book started. Oh, look. Also overwhelmingly written by men. Where are the women in this equation? For those of us over here way left of Deseret, this is our “serious” fiction, and the degree of ambivalence or straying is DIRECTLY proportional to its quality of writing because its metaphor is PURE. Fine. And then there are the movers and shakers out there who don’t have a place either because they don’t write “serious” literature in either incarnation (clean or ambiguous) and they’re making bank pretty much without Mormon characters and they have no need to discuss any of this. I propose that, somehow we come up with a moniker to say, “Anything that speaks to me and I need to talk about.” This is where we are.